Are you looking for complete commercial kitchen solutions from one single manufacturer? 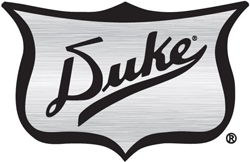 Founded in 1925, Duke has been leading the foodservice industry with its array of cooking, cleaning and storage solutions. With custom designs and manufacturing, and being regarded as the first manufacturer of the waterless hot well, Duke enjoys a big market share. For more information, visit www.dukemfg.com or call on 800.735.3853.